Star Wars collectable pewter figurine. 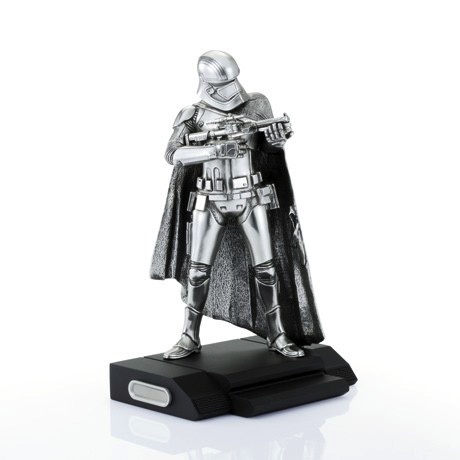 Size: 12cm (L) x 15cm (W) x 23.5cm (H)	The Limited Edition Captain Phasma figurine headlines the additional line-up. The imposing physique of captain who commands the First Order legions of troopers is meticulously captured. From the pockets on the grainy cloak to the sleek compartments on the utility belt, holster and the blaster, the high level of detailing accentuates the air of menace that radiates from this prominent stormtrooper. Limited to 5,000 pieces worldwide.